Banbridge Cycling Club’s Chris Burns has just returned from the Para-Cycling Track World Championships at Apeldoorn, in The Netherlands. Chris who has been competing successfully in the Invacare Para-cycling League for the past few years got the call up the Elite National Para-Cycling Squad. He has been involved with the National coaching program, which has seen Chris making steady improvements, training in the Cycle Track at Palma, Majorca as well as competing in England and Wales. Chris got the championships off to a great start when he set a National Record in the Kilometre Time Trial. 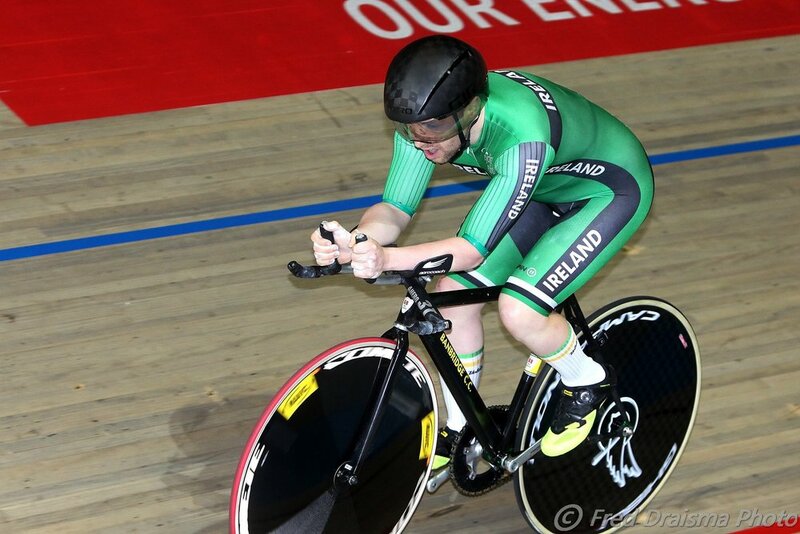 He continued to make Personal Best performances and rounded off the Championships with a superb 8th Place in the Scratch Race. Everyone at Banbridge CC is delighted with Chris’s success and Chris has a great opportunity for selection to the 2020 Paralympic Games in Tokyo.